Keeping our data safe, and our computers secure can seem like an enormous headache, especially if you’re not a technically-minded person. Luckily Microsoft have made keeping your PC, laptop, or tablet secure and safe from viruses, malware and hackers. In the System Tray (the small ^ icon next to the clock at the right end of the desktop Taskbar) you will find a Shield icon. Clicking this opens the Windows Defender Security Center. 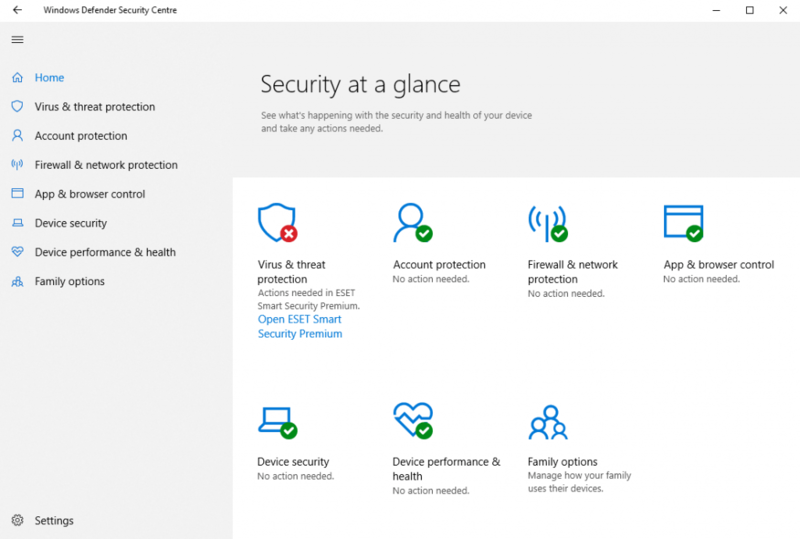 In the Windows Defender Security Center you can see at a glance the security status for your PC, as each of the available sections, Virus & threat protection, Account protection, Firewall & network protection etc. are highlighted with a traffic-light icon. These being Green for all is great, Amber for a notification, and Red when something needs attention. Should you have an Amber or Red icon on an item, you will be presented with a clear link, or button which you can click to either fix the problem, or find out more information about it. This could be asking you to update an important device driver on the PC, or to update your third-party anti-virus software. 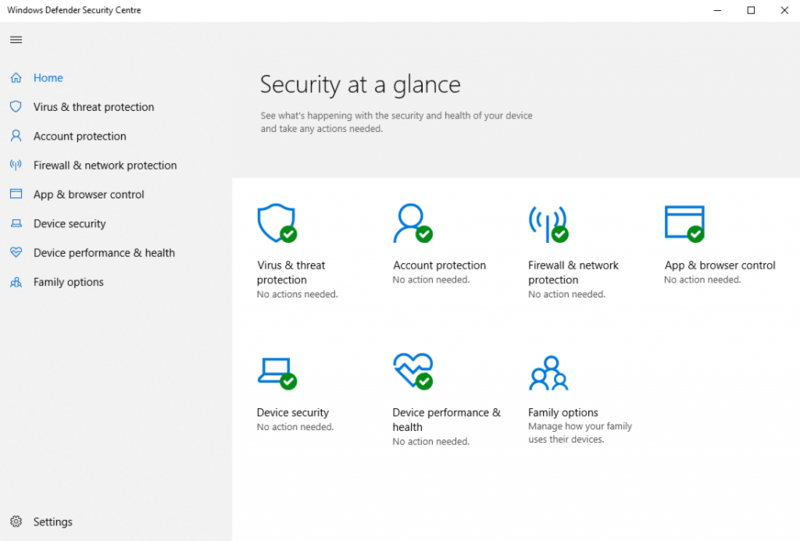 All third-party anti-virus packages and security products for Windows integrate into the Windows Defender Security Center, though if you choose not to use a third-party products, Windows 10 does come with its own anti-virus and firewall software pre-installed, that is very effective against both online and offline threats.